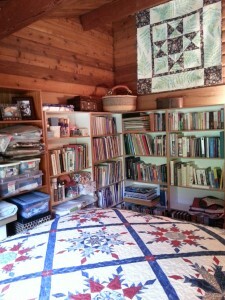 In late June, I went to California to teach at the Santa Clara Valley Quilt Association. 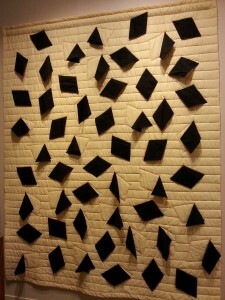 I was fortunate to spend a wonderful afternoon at the San Jose Museum of Quilts & Textiles. The main exhibit was from Visions 2013 and no photographs were allowed. In the entrance hall, where photographs were allowed, there was an interesting exhibit entitled Now and Then: Early Art Quilts by Ros Cross 1973-1976. 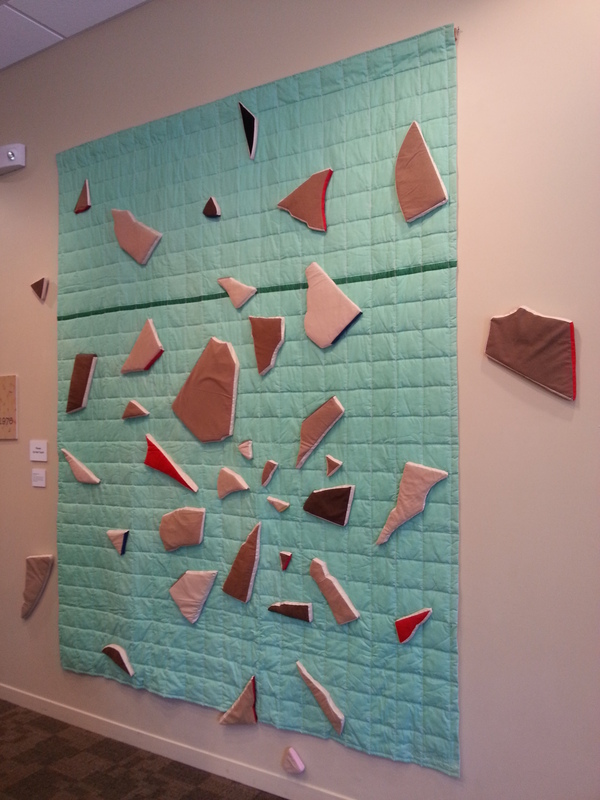 Broken Quilt, made in 1976 is made with cotton, unbleached cotton muslin, polyester batting and polyurethane. 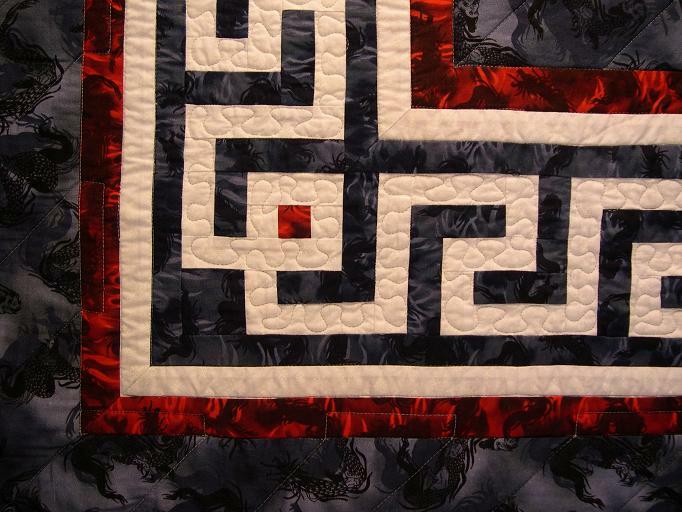 Some of the fabrics are hand tea-dyed and the quilt is machine quilted with a double lined grid in the background. As you can see the fragments of quilts are stuffed adding to the visual imagery and making them look like shards of broken pottery. Ros Cross works in a variety of media including sculpture, drawing, painting and monoprinting. Early in her artistic career she moved from her native home of England to America and began working with textiles. 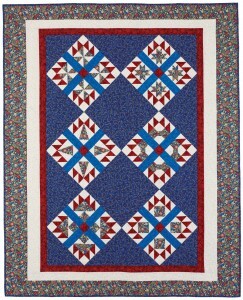 She was fascinated with and inspired by the American quilt tradition and her art work evolved and digressed into quilt making, but without reference to traditional quilting techniques. She connected the worlds of contemporary art practice with the more historical quilt tradition and was way ahead of her time. Flags, made in 1975 with polyester cotton blend fabric and machine quilting reminds me of mortar boards at a graduation. 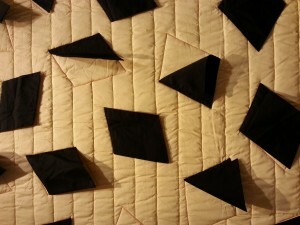 These three-dimensional black flags cast interesting shadows on the quilt and their appearance changed as you walked past. 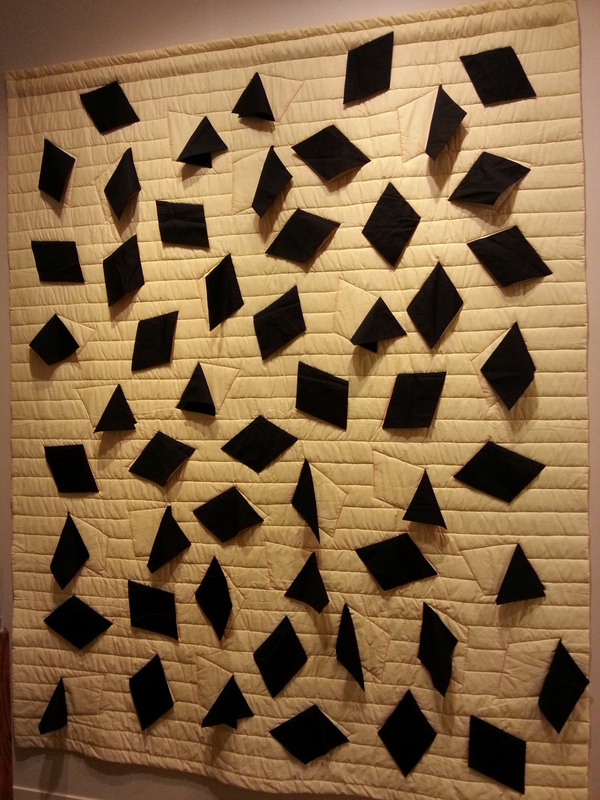 I find it inspiring and refreshing to see such an innovative approach to quilting and these quilts were made almost forty years ago! 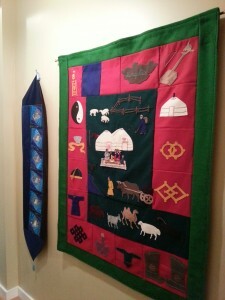 By the time this blog posts, I will have just arrived in Mongolia to help celebrate the 10th Anniversary of the founding of the Mongolian Quilting Center. We will be hosting the Second International Quilt Show in Mongolia at The Department Store in the center of Ulaanbaatar, 6th-12th August. Several nations will be represented with quilts in the show including, UK, Australia, New Zealand, Holland, Turkey, USA, Japan, and of course Mongolia. I am taking some quilts to exhibit and will also be teaching while I’m there. Here is Tribute to Mongolia which I will be giving as a gift to Selenge Tserendash after the show. 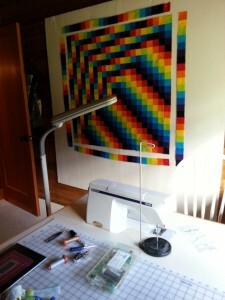 This is the largest quilt I have ever made, 103″ x 103″ and occupies a great deal of space in my suitcase! 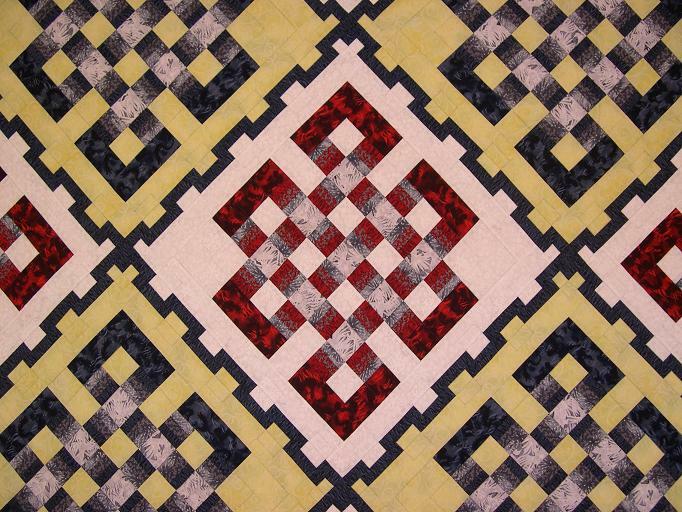 The big Olzii patterns are 20″ blocks and are the same as those used singly in my Gateway to Mongolia quilts (pattern available in my on-line store). This Olzii symbol is prevalent in Mongolia and often painted on the doors of yurts to bring long life and prosperity to the occupants. 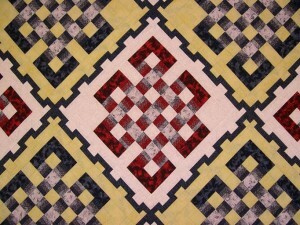 The border design was copied from a Mongolian blanket, but looks just like a Greek Key pattern. 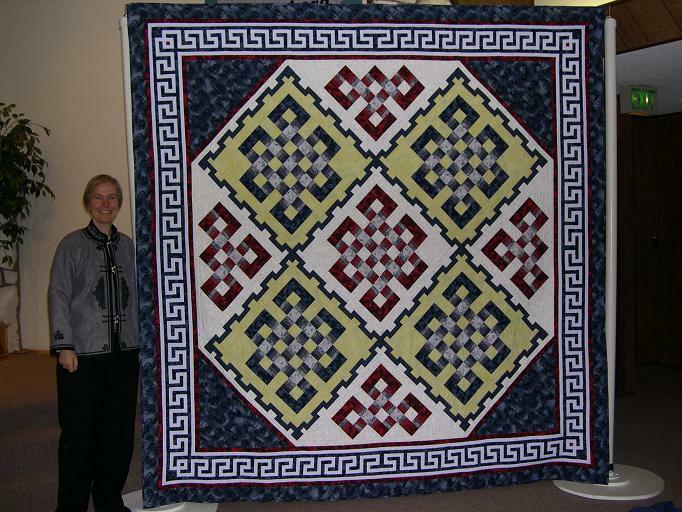 Here are two more quilts for the show. 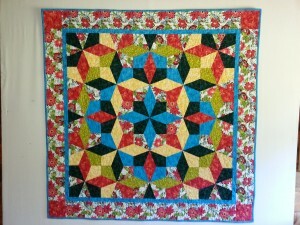 Fiesta is one of my template-free Kaleidoscope quilts and I will be teaching this technique to the Mongolian women. 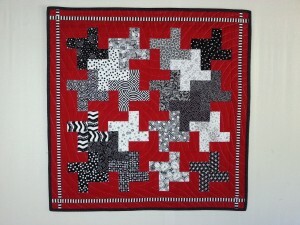 Mind Games was made for a guild challenge to make a quilt using black and white prints and 30% of a solid color. The design was inspired by Christine Porter’s book, Tessellation Quilts . I am writing this a week before my departure and am in the thick of preparations, planning and packing. It will be an exciting trip and I’ll be posting more blogs on my return. 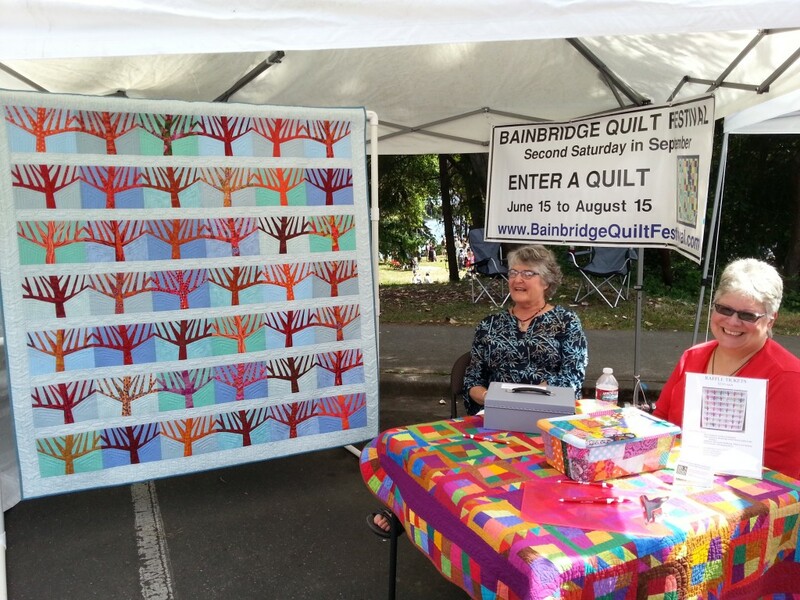 The Bainbridge Island Modern Quilt Guild, a local affiliate of the National Modern Quilt Guild organizes the Bainbridge Quilt Festival. This Festival was initiated in 2013, by Barbara Kirk, owner of Esther’s Fabrics on Bainbridge Island. 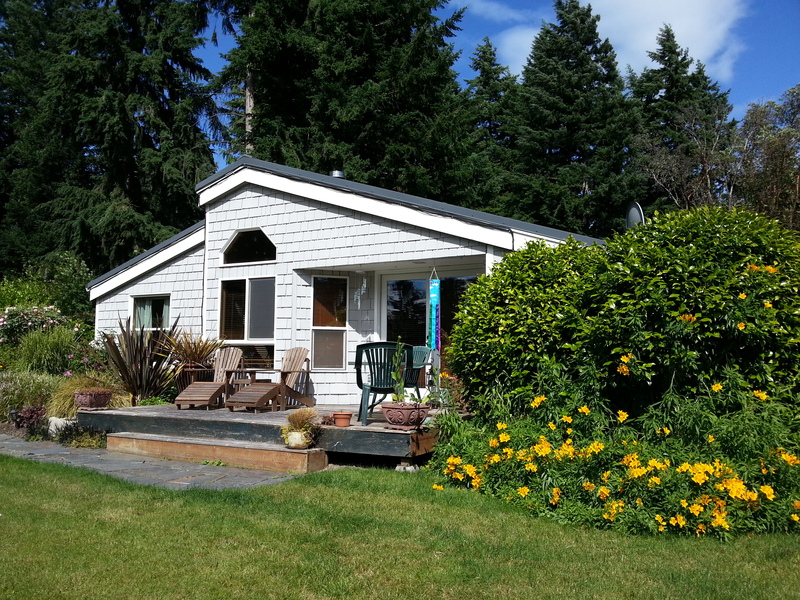 Barbara was inspired by the joy and beauty of the annual Sister’s Quilt Show held outdoors in Sisters, OR and wanted to put on a similar but smaller venture on Bainbridge. The Guild and several local businesses pitched in with Barbara to make the first show in 2013 a great success. I missed the show as I was away teaching in CA, but I entered two quilts. There are photos of the show on both the websites linked above. At our recent 4th July parade, the organizers had a booth promoting the upcoming show which will be on 13th September. 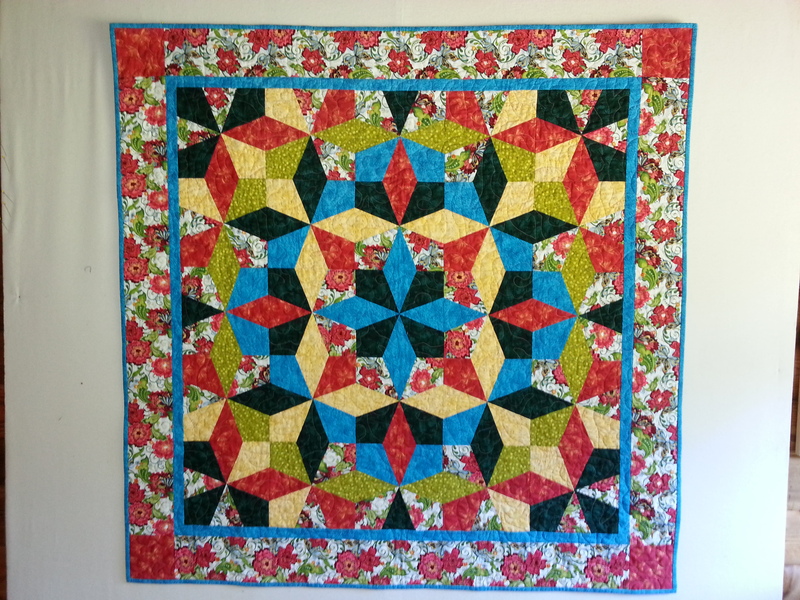 The beautiful tree quilt, designed by Carolyn Friedlander and quilted by Marybeth O’Halloran, is being raffled as a fundraiser. If you are in our area, I encourage you to enter quilts and/or to come and see the array of quilts which will be hanging all over Winslow our downtown on Bainbridge. The entry fee is only $10 if you also volunteer to work at the show for just two hours. 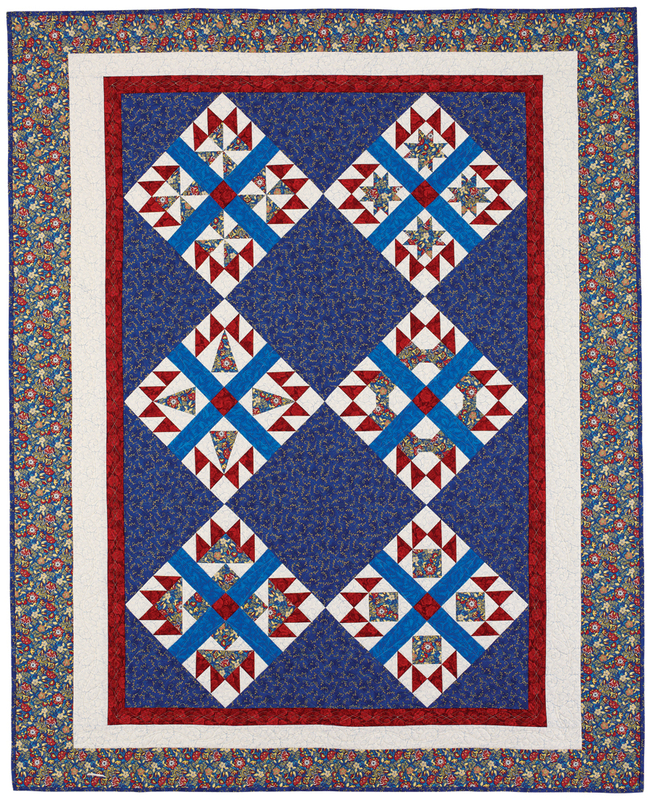 Festival day also includes a sew-in for American Hero Quilts at the Bainbridge Museum of Art. It should be a fun and festive day. On the 4th of June, I moved house and I have pictures to share with you. I’m still sorting and unpacking, but every day it gets better and better. 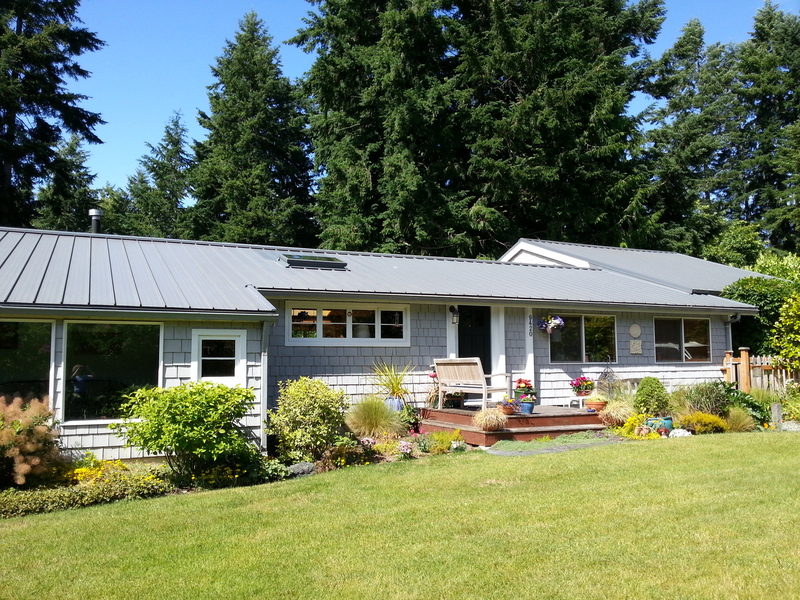 The house, which I’m renting from a friend, is only about four miles from the old place. 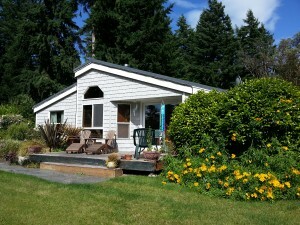 It’s close to Wilkes Elementary School on the north end of Bainbridge Island in a sunny location with a lovely garden. The whole process of moving is a huge upheaval, and it certainly gives you pause to ponder especially when you need to downsize. Just how much of the stuff that you’ve accumulated, do you really want to move to a new place? If it’s been sitting in a box untouched for the last 13 years at your old house, what are the chances that you are still interested in it or that you would miss it if you no longer had it? I’ve been trying to give myself permission to let go of things that I really don’t want, but I’ve been hanging onto for years for a variety of reasons. I know that my creativity can be stifled by clutter and I’m making efforts to reduce it all. I didn’t have time to do a good job of this before moving so I’m ditching stuff as I unpack. I’m enjoying making my new home and putting things where I want them. I waited about two weeks before hanging any artwork on the walls and for several days I had all the pieces spread out in the living room so that I could see them, and decide where to put them. 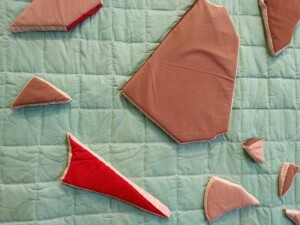 It was a kind of auditioning process, not unlike the way in which I make decisions in designing my quilts. Each day, I knew with certainty where various pictures should be hung and I gradually put them up over a period of about a week. 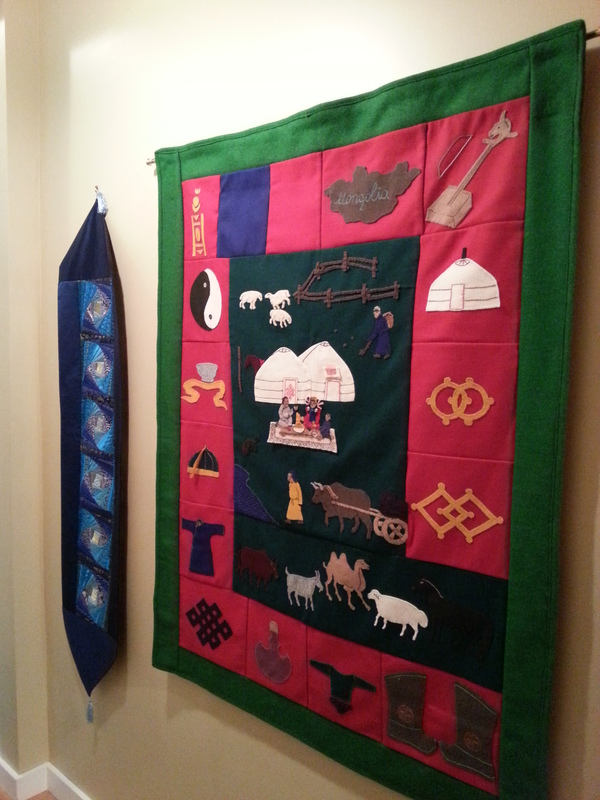 These two Mongolian pieces made by women at the Mongolian Quilting Center, are hanging the long passage way. The blue table runner has twisted Log Cabin blocks made from silk scraps discarded by a clothing manufacturer in Ulaanbaatar. The other one, A Day in Mongolia, is felt appliqué and depicts a traditional Mongolian scene, the animals and many items important in Mongolian life and traditions. In my old house, I had a spacious studio. Here, it is split between three small rooms, one of which is an office. The office is great, but I haven’t had any time to quilt in the studio room. 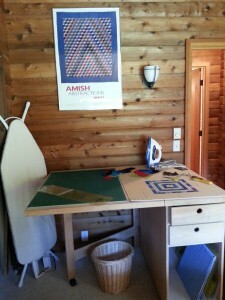 Initially I thought my sewing table was too large and that I would have to store it in the garage. I was excited when I worked out how to arrange the room so that it would fit, and by removing the bi-fold door of the cupboard, I could also fit my cutting table into the same room. The cutting table is not fully extended, but there is plenty of space for cutting and in my old studio, the end of the table was just used as a dumping ground. Across the passage there is another small room which I use for storage. I have a full-sized bed to store all my quilts flat, there are bookcases on two walls and my IKEA fabric storage shelves on another wall. Upstairs in the spare bedroom, I have my smaller IKEA unit for more fabric. I tried to sort my fabric when I packed and gave several boxes away to a friend whose church group makes quilts to send to Africa. The criterion I used was, “if I saw this fabric in a sale, would I buy it?” If the answer was “no”, then the fabric was put in a box to be given away. I still have too much and should really have given away all the “maybes” too. Another purge can be a project for this coming winter. 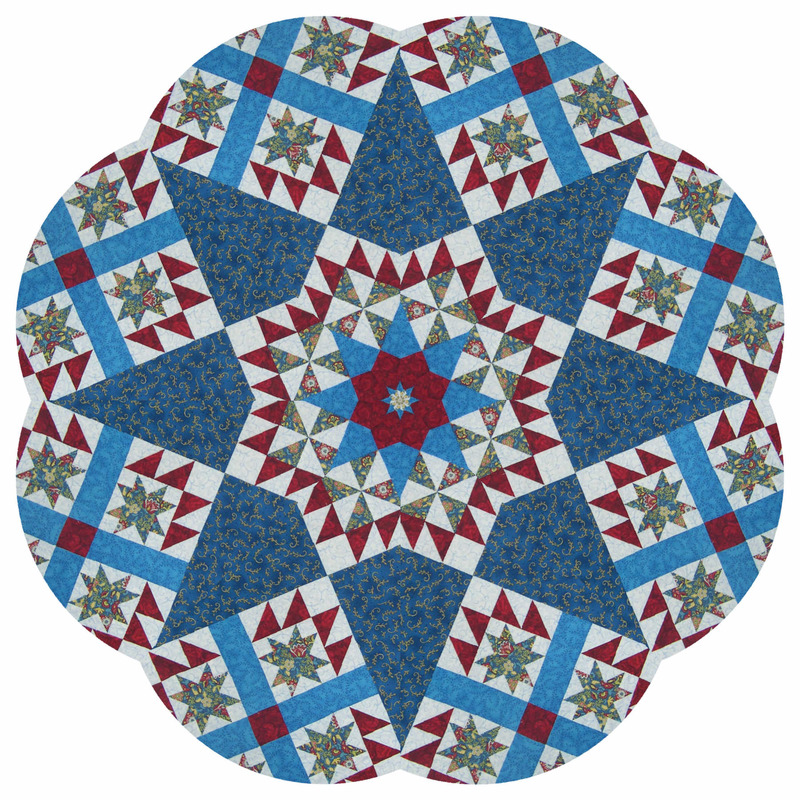 Here’s a Kaleidoscope image I made derived from my red, white and blue quilt, Royal Bears. We’ve got the colors and the stars, and with a little imagination the bars! Wishing you a grand 4th July celebration! 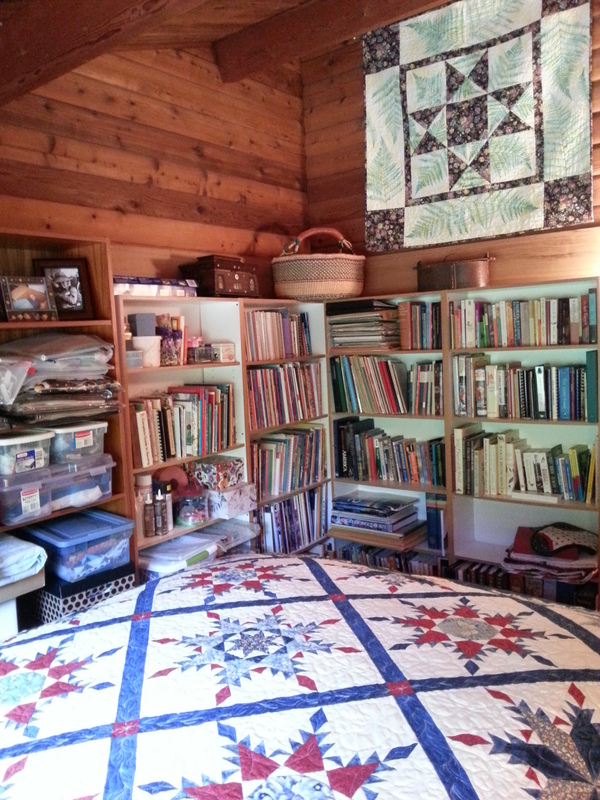 And now for the original quilt as featured in my book, Traditional Quilts with a Twist.